At the time of the interview, Gerard Carey was appearing as Stagehand in The Tony Award-Wnning Smash Hit Master Class at the Vaudeville Theatre. Master Class is an insight into the life and loves of Maria Callas, the iconic opera singer whose turbulent private life and fiery temperament were as astonishing as her formidable talents. Inspired by her master classes of the early 70s, this is a riveting, hilarious and intensely moving portrayal of the sacrifice and heartache behind the artist, the diva and the legend. Gerard took time out from the play to answer a few questions. What were your first experiences in performing arts? Mum and Dad used to perform in church parish variety shows, doing comedy sketches. I fell in love with the theatre then. I used to sit on the front row every night, and the MC used to invite me on stage to tell a joke, or sing a song. I was a big hit with “We’re Walking In The Air,” from The Snowman. You trained at Mountview. What are some of your favourite memories from there? Meeting friends, some of which grew to be my very best friends. What can you recall of your professional stage debut? You created the role of Robertson Ay in Cameron Mackintosh’s production of Mary Poppins at Bristol Hippodrome and at the Prince Edward Theatre in the West End. How does creating a role compare to taking over a role? I like to do both. No performance is exactly like the one preceeding. So, whether I am reinterpreting a role, or ‘creating’ it, there are the same challenges and the same rewards. You performed as Historian and Prince Herbert in Spamalot at the Palace Theatre. What was it like performing in this fun Monty Python ‘spin-off? You have performed in Midsummer Night’s Dream, The Taming of The Shrew and Two Gentlemen of Verona, what do you like most about performing Shakespeare plays? Shakespeare’s language. It’s beautiful, poetic, and can be hugely funny. What have you most enjoyed about performing at The Open Air Theatre in Regent’s Park? It’s a unique theatre, and a unique experience. As an actor you get to develop certain skills that are not required for a theatre with a roof. For example, once in Midsummer Night’s Dream, a fox came onstage and upstaged all of us. You have performed in the television series Torchwood and also Soup. What do you enjoy most about acting on television? You have recently appeared as Jack in the musical Ex at the Soho Theatre. What was it like performing in the show in a smaller venue where the audience are ‘up close’? Scary, but exciting. I like to see the whites of their eyes. You are appearing as Stagehand in Terrence McNally’s play Master Class at the Vaudeville Theatre. What can you tell us about your role? All of my scenes are with the brilliant Tyne Daly. She’s a knockout. It’s essentially a play about art. Terrence McNally uses the touchstone of Maria Callas to explore the importance of beauty and art in our lives. It blends music, exceptional drama, and unexpectedly, lots of humor. It’s a superb piece of theatre. Spend time with my beautiful girlfriend, Emma. 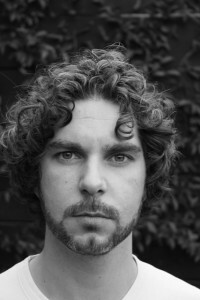 Gerard Carey is playing the role of Stagehand. His previous theatre credits include The Invisible Man for the Menier Chocolate Factory, Spamalot at the Palace Theatre and The Taming of the Shrew and A Midsummer Night’s Dream for the Open Air Theatre, Regent’s Park. His television credits include Torchwood and Love Soup.